There are words that are BIG. Whatever it is that inflates them (read: social media buzz) doesn’t often help in figuring out the true meanings. In fact, the hype seems to distract from the real depth and lessen the importance. It is a little confusing, especially if the word lures and the concept is enticing, in the way my imagination defines it. This word I’m talking about now is mentoring. I’ve recently taken a keen interest in the idea and planned a couple of opportunities for myself to experience mentoring. An interesting flash of a thought at the back of my mind: three years ago I would get all excited and jump into it without a second thought, without preparation. Learn by doing. Learn from the experiences themselves and mistakes that inevitably come with. I chuckled thinking of the way my methods changed. I pace myself now. If I get to do it, I thought, I want to do it “right”. Now here’s the thing… what is “right”? Maybe to start with, it’d be useful to define a mentor, and I want to define not from a dictionary but from my heart. For me, a mentor is a person who supports, listens, helps to reflect, inspires, challenges you, ideally shares beliefs. Gently, in a non-intrusive kind of way, offers a vision that makes sense for you. They are people you respect and feel comfortable talking to about what bothers you, honestly and not necessarily openly seeking guidance or advice (though you know they have what you need). I haven’t had a mentor assigned to me by a program or through an institution, yet it’d be a lie to say I haven’t had mentors. There are a few people I consider to be my mentors but, frankly speaking, I don’t recall ever saying it to them… So maybe they don’t know. I can’t say we ever went through a process of mentoring that started and ended. So probably my view is distorted, over-romanticised, idealized. Can I trust it? Am I crazy (and arrogant!) to think I could be a mentor to anyone, given my own definition? What am I saying?… I feel lost. Because I want and feel the need to support and listen and help to reflect, I want to have more clarity on what mentoring is or can be. On what a mentor is and what the relationship involves. On how it starts and if it ever finishes. On how it’s organized. On what happens if two people just don’t click. And I think stories that I’m sure other people have might be just what I need to get that clarity. So, do you have any #ELTmentor stories? Successful or not so much, stories where you were the mentor or the mentee, for a specific period of time, project or otherwise. I hope you can share some of your stories with me – and anyone else who is interested – in the comments to this post, in the comments on Facebook, or on your own blog. Thank you for those and for reading, as ever. What does it take to feel warm, welcome, belonging, excited about your job being a teacher in a high school? I am feeling just that right now and it’s a sudden overwhelming emotion that needs to be outpoured. Hence this impulsive paragraph blog post. So what did it take this time? Over a hundered teenagers gathered in a room; three university undergads (Japanese studying abroad) sharing their experiences, highlights, concerns and tips about studies overseas – from making this choice and preparing applications to managing your life all by yourself, enjoying college life and facing racism. I’m once again reminded that nothing leaves a more powerful impression than a personal story shared from your heart. It takes leaving that obnoxious teacher’s platform and taking students’ side, that is, sitting on the floor next to them. It takes talking to them naturally even knowing their English is low and they most likely struggle to understand what you’re saying. They do make it out, though, even if I can use that level prejudice as a barrier and thus limit my own communication with them. It takes smiles which are more sincere than morning greeting requires. It takes a hearty laugh about something together. It takes months, too, but this moment and these bubbles inside feel special and precious. Also, on a more material/ physical note, today I guess I got closer to the Japanese culture in that I “touched” students (well, rubbed a few shoulders wishing well and expressing appreciation) for the first time, and was “touched”, too. I shared (or created?) some personal moments with students, just by being myself, showing interest, asking simple questions and showing care – because I do care. Finally, today it felt natural to express it. Well today there were cards to revise vocabulary that came up last class and this student wanted to say she loves all kinds of pies. She started enumerating actual fillings: salmon, cabbage, meat, cheese, fish, лук-порей… I am racking my brains, I know it’s there, it must be, it was…. The other student opens Google but it takes time. 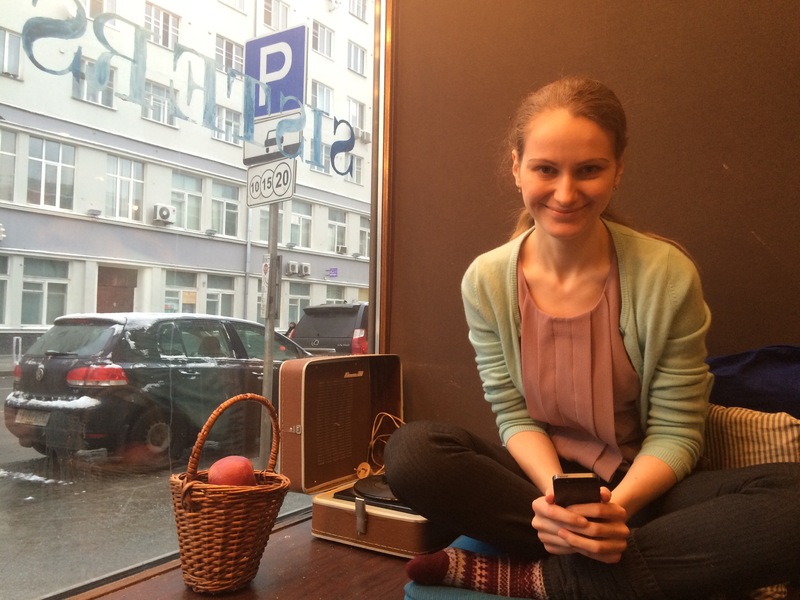 This pie-loving student opens Google Translate app but it won’t load. Mine loads faster though and there it is, of course, the leek. I can’t explain why but this leek failure really upsets me in those fleeting 90 seconds that we struggle with getting the word, and so I mention it in passing, more like a remark to myself. The picture in my mind is a pot of shabu-shabu that I ate not once in Asia, and enjoyed so much. 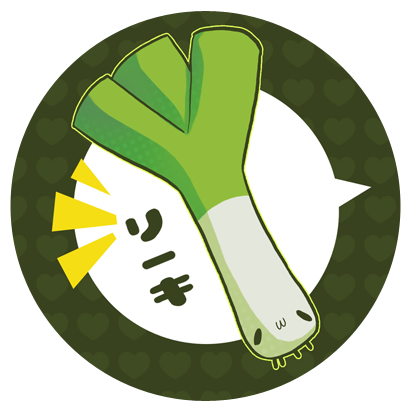 With lots of leek. She smiles such a warm caring smile and says with genuine well-wishing, “It’s not a necessary word, it’s fine, don’t worry”. A moment in class out of a million similar moments in hundreds of similar classes, I know. And I wouldn’t have devoted a whole blog post to it had this memory of a warm considerate student’s line not stayed with me for a few hours after the lesson, made me smile and appreciate the good attitude. I might forget the leek again, as well as may other necessary and unnecessary words. I want to celebrate the students’ well-wishing when it’s here and touching my heart. Thank you to all students who care to be kind. Paragraph 2. A year on, still writing. This paragraph blogging style is liberating and infectuous. It’s just my hunch that it might help me turn my many drafts into actual paragraphs some day. For now, here’s this sequel to the post from a year ago. I recommend you read it first, it’s short, light and will entertain you with three images. She sometimes excuses herself for writing too little, a mere page. 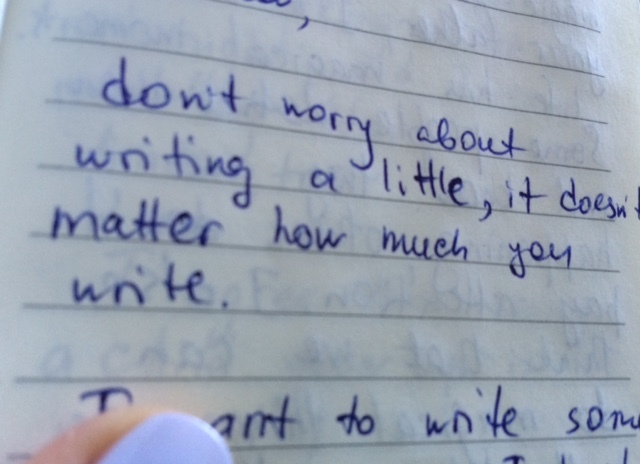 Just keep writing, I say. Some people blog no more than a mere paragraph and are not in the least ashamed of it. …then paragraph blogging is for you. Let’s see if one paragraph could be a good amount, readable, doable, enjoyable, ideally informative.